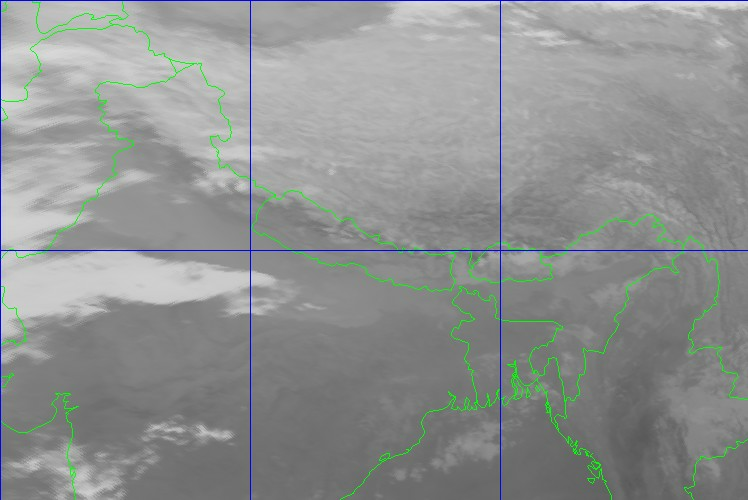 Partly cloudy throughout the country but chances of becoming generally cloudy in the hilly regions towards afternoon. Thunderstorm accompanied with gusty winds/lightning likely to occur at a few places of the eastern and central hilly regions at one or two places of the western hilly region. Partly cloudy in the hilly regions and mainly fair in the rest of the country. Brief rain/ thundershowers likely to occur at one or two places of the hilly regions. Partly cloudy with chances of light snowfall at one or two places. Generally cloudy with chances of light snowfall at a few places. Designed and developed by Real Time Solutions Pvt. Ltd.